Today we are SO lucky to hear from Anthony Sweat! 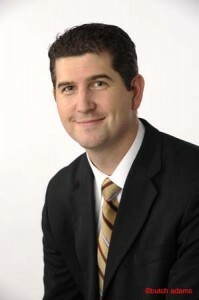 He has a line up of best sellers at Deseret Book, and let me say that I have most of them and I LOVE them. They are seriously great resources. 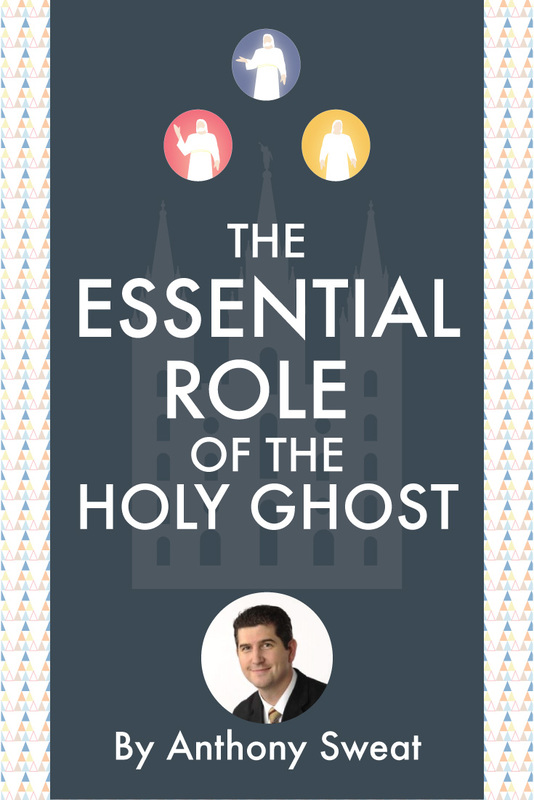 What is THE ESSENTIAL Role of the Holy Ghost? -How can you know if the atonement is working in your life? -How can you know if you’ve been cleansed of the sins for which you’ve repented? -How can you receive the Lord’s grace—his strengthening and enabling power—in your everyday life? -What makes it possible for the Savior’s healing and understanding power to come to us? -How can we have our hearts purified, our very natures changed and transformed into better people? Often when we teach and speak about the roles of the Holy Ghost we overlook perhaps his most important function. He is the comforter, yes. Gratefully, He guides us. He testifies of eternal truth, of course. All of those roles are very, very important. However, if we only teach these things (which, in my experience, is the most common way people discuss the Holy Ghost in church settings), I think we miss his most essential duty: to deliver the blessings of the atonement of Jesus Christ into our lives. Elder D. Todd Christofferson of the Quorum of the Twelve taught, “The gift of the Holy Ghost … is the messenger of grace by which the blood of Christ is applied to take away our sins and sanctify us” (“The Power of Covenants,” Ensign, May 2009). “But ye are washed, but ye are sanctified, but ye are justified in the name of the Lord Jesus, and by the Spirit of our God” (1 Corinthians 6:11). “And after they had been received unto baptism, and were wrought upon and cleansed by the power of the Holy Ghost, they were numbered among the people of the church of Christ” (Moroni 6:4). 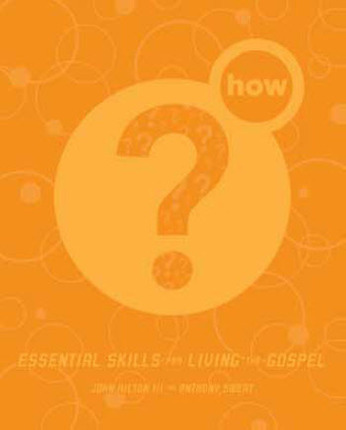 If I were facilitating this learning outline on the roles of the Holy Ghost, I would emphasize this doctrine as clearly and with as much holy passion as possible! (Can I get an Amen?! Who can say, “Hallelujah?!). Why, you might ask? Because not only is this truth (that the Holy Ghost delivers the atonement into our lives) perhaps the single most important function of the Spirit, it is also perhaps the least understood, and possibly the most applicable in our lives. Just look at this quote from President Eyring (one of my favorites): “If you have felt the influence of the Holy Ghost during this day, or even this evening, you may take it as evidence that the Atonement is working in your life. For that reason and many others, you would do well to put yourself in places and in tasks that invite the promptings of the Holy Ghost. …The reception of the Holy Ghost cleanses us through the Atonement of Jesus Christ.” (CES Fireside for Young Adults, September 10, 2006, Brigham Young University). On another occasion President Eyring said, “Reception of the Holy Ghost is the cleansing agent as the atonement purifies you…. And when he is your companion, you can have confidence that the Atonement is working in your life” (“Come Unto Christ,” Brigham Young University Fireside, 29 October 1989). So, who wants to be cleansed from sin? Who wants to know if they have been forgiven? Who wants to be strengthened and helped by Jesus’ grace? Who wants to be understood and guided? Who wants to be healed from hurt? Who wants to be changed and transformed into a better person? Who wants the atonement? Then get the messenger of mercy, the deliverer of divinity, the agent of the atonement: The Holy Ghost. 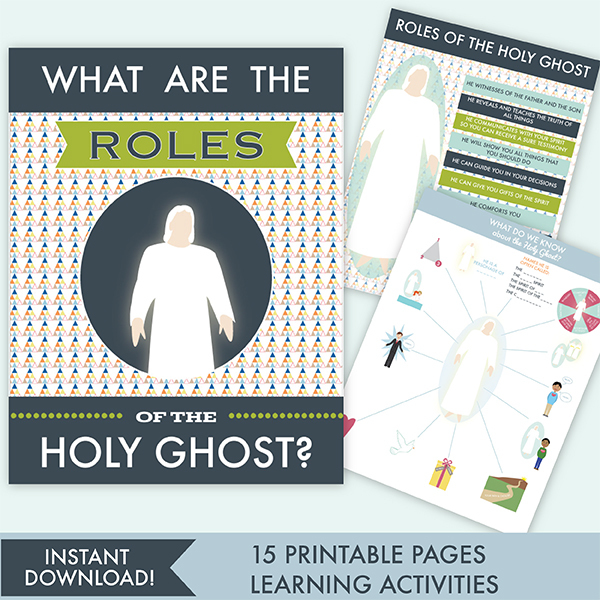 See our one of our best selling teaching package about the Roles of the Holy Ghost HERE. This is excellent. I’ve made a copy of this information to use this coming Sunday, and for the girls to put in their journals. Thank you! So much! for your help! Hallelujah! I must say that although I know the Holy Ghost sanctifies us, I have not understood what that meant. You have helped me to begin to grasp what this means. This was a wonderful article. Thank you Anthony Sweat. Also thank you Shannon for sharing your website with us and giving us access to other authors and speakers. I appreciate how reading your blog/website always encourages me to study on my own. Thank you for giving me so many tools to get started and excited to ponder and study. Wow. Hallelujah. And I am not sure that those 2 words even cover this thought. I had never thought of the Holy Ghost in this manner and yet it makes perfect sense. I plan on definitely teaching this so that my kids can internalize this and put it to use in their lives. Thank you so very much for sharing this insight with us. Amen!!! I am so glad I read this! Cannot wait to talk with my kids about this. Thank you so much for sharing this. For making it easier for us parents to teach our children. I am grateful to have this website as another tool to use in gathering ideas to teach! You know we have all heard those scriptures a thousand times and those talks at least once… it is funny how we didn’t ingest it. Bro. Sweat has pulled together all the thoughts that have been incidently floating around in our heads about the Holy Ghost… loving those things we think about most because we need them so badly… but like Bro. Sweat said…. the thing that makes all those functional in our lives is the fact that he is the sanctifier. Wonderful… concise way to articulate what we already knew but didn’t know we knew. Funny… Thanks for sharing. Love this. Thanks so much for all the time and effort you put in to helping us teach the gospel to the wonderful youth in the church. WOW!! How is it I have been a member of this church for all my life and I have NEVER gotten this?! Thank you so much for sharing this with us! Not only have you opened my eyes to new doctrine, but you have given me hope that maybe I am doing better than I thought at appying the Atonement in my life. Thank you Anthony and Shannon! We are studying John 16 tomorrow morning in Seminary. So you can understand why I say…Hallelujah!!! 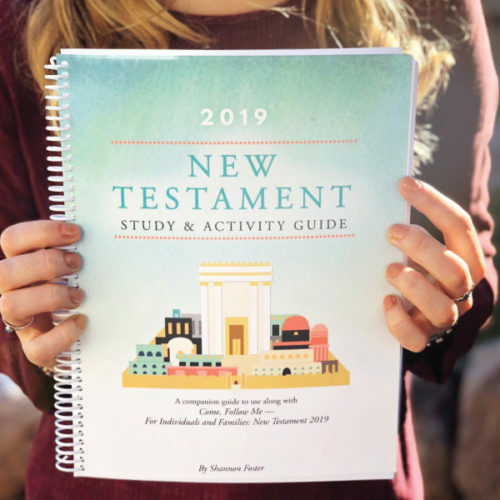 Perfect timing and such a great resource. 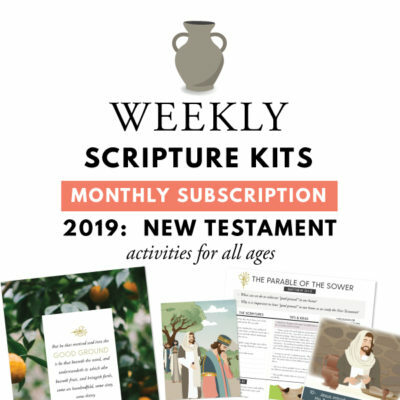 Thank you for blessing my students with new insights that are scripture based. Never had such a wonderful understanding!!!! Thank you so much!!! I loved the quote by Elder Eyring! It is a perfect way to know if the atonement is working in your life!!!! Asking myself….have I felt the Holy Ghost in my life today??? This is awesome. Thank you Anthony for sharing this with us. Oh my! Thank you so much for this inspired insight on the divine mission of the Holy Ghost. This will be my emphasis as I teach the young women of my stake tomorrow on the Roles of the Holy Ghost! Thank you! I am always taught and inspired by your website and information. Beautiful message! I learn so much more than I end up teaching on Sundays. This is even clearer! I echo all that has been said. How can we be members all our lives and not understand this essential concept! Thank you!